Realme 3 is here! Discover great value at Php 6,990! Today, the Realme 3 becomes official in the Philippines. The smartphone is set to deliver great performance and best value-for-money in both entry-level and mid-range segments. 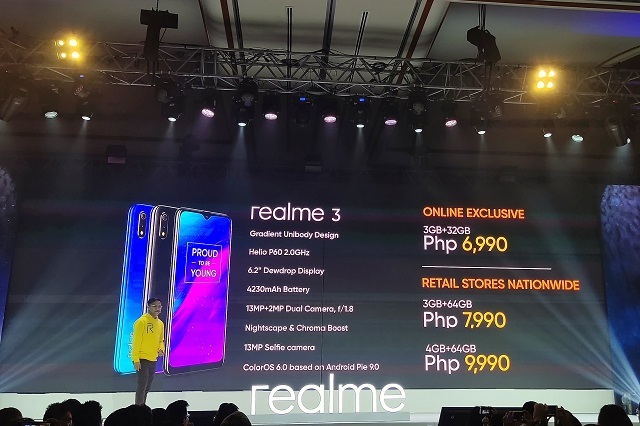 The Realme 3 comes in three variants which suit the sub-Php 10K price points. 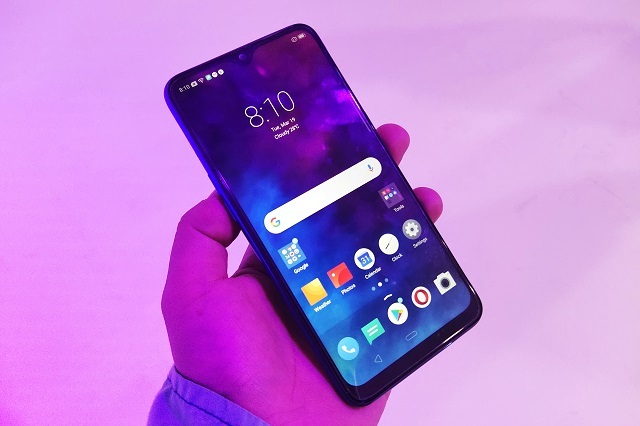 The handset is powered by the MediaTek Helio P60 processor which is the same chipset that you can find in the OPPO F9 series of smartphones. The base variant starts at Php 6,990. It packs 3GB of RAM and 32GB storage. There’s also another variant with 3GB of RAM but with bigger 64GB storage which is priced at Php 7,990. Lastly, the most powerful configuration boasts 4GB of RAM and 64GB storage. 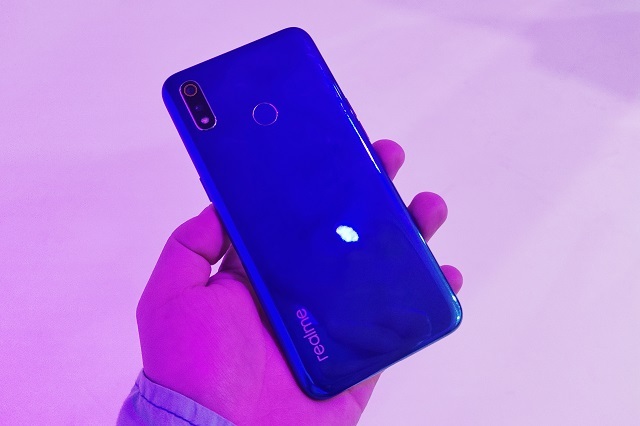 When it comes to the camera, the Realme 3’s rear camera is a combination of 13MP and 2MP shooter; while the front camera has a 13MP sensor. These cameras feature the Nightscape mode that optimizes camera performance in low-light environment. On top of that, there’s also a Chroma Boost feature that uses AI technology to identify objects, optimize photos, and improve image dynamic range. There’s a 4230 mAh battery that supports intelligent power-saving functions to give users more time away from the wall outlet. The Realme 3 also boots with Color OS 6.0 which takes advantage of the clean and minimalist user interface. 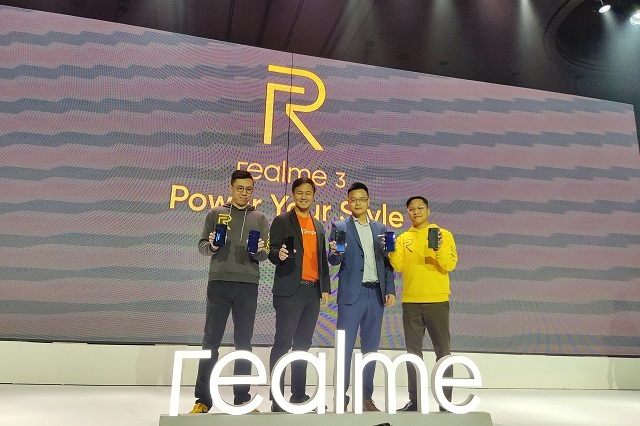 Realme partners with Shopee PH for the March 25 launch of the handset. 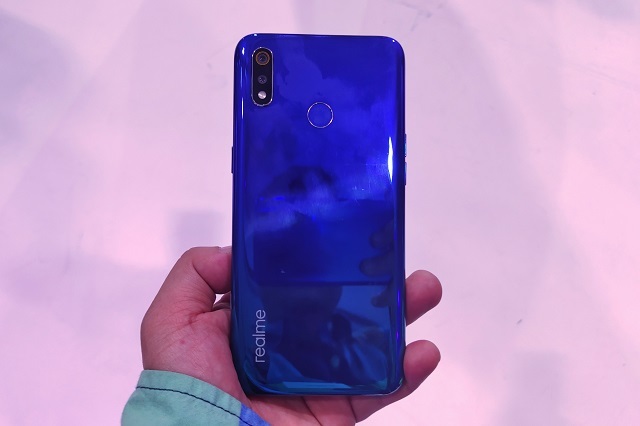 On the midnight of March 25, you'll only get the Realme 3 base version at Php 6,290 in Shopee’s March 25 flash sale. Likewise, you can also get the handset offline at Php 7,990 and Php 9,990, 3GB/64GB and 4GB/64GB, respectively. Pre-ordering the handset from March 20 to April 5 will allow you to get Php 1299-worth of bundles. You can also grab the 3GB/64GB variant via Home Credit for 9 or 12-month Easy Plan installment and the 4GB/64GB variant at 0% interest for 6 months.